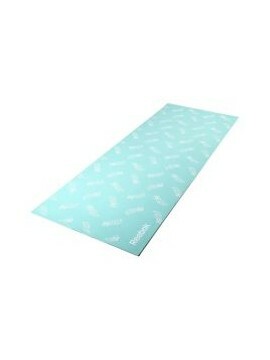 Perform your Yoga poses seamlessly with the Reebok double sided Yoga mat. 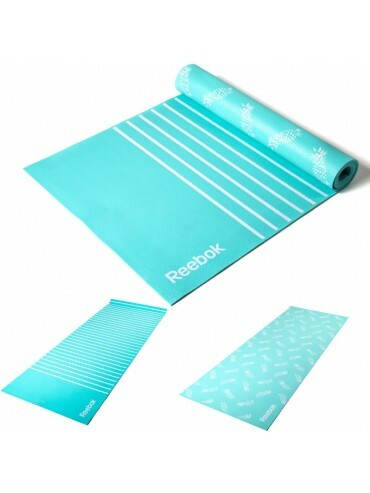 Recognising the growing trend of chic Yoga mats splashed with colourful designs and unique patterns, Reebok brings you a range of mats that combine comfort with self-expression. The double sided Yoga mat with green stripe and crosses is a Yoga accessory you won't tire of easily. Featuring a non-slip 'sticky' surface texture, stability and posture is easily maintained - especially when executing the more challenging one leg balance moves such as a standing split or the extended-hand-to-big-toe. Whether you're a beginner or seasoned Yoga professional, you'll know that the thickness and quality of your Yoga mat is important in ensuring your hands and knees are cushioned throughout your practice, yet it needs to be easy to roll up and store away. 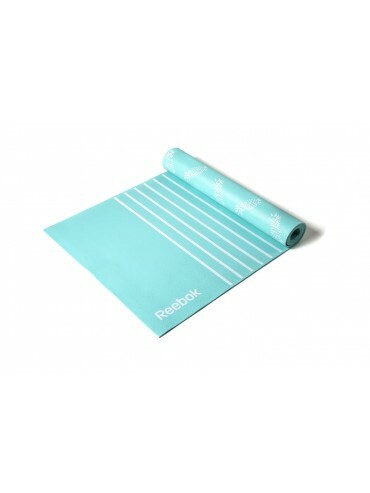 Ticking all of those boxes, the 4mm thick shock absorbent Yoga mat from Reebok is the perfect choice. 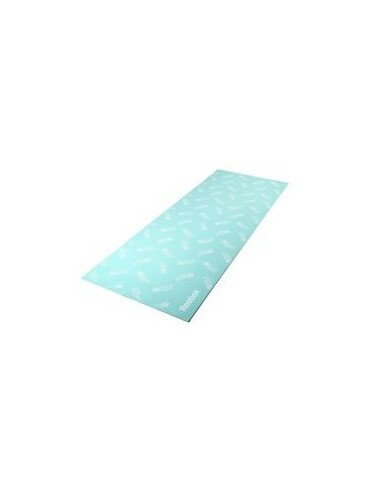 The double-sided Yoga mat, 173 x 61cm in size, offers good balance and traction for every move, is abrasion resistant and comfy for your feet, not only that but it's a breeze to clean after use. Material, thickness and texture are all important qualities to look for in a Yoga mat, but so too is colour and design, especially when you're seeking a mat that complements your Yoga attire! In an eye-catching reversible design, crosses on one side, stripes on the other, you're sure to be the envy of your Yoga class.